Talmudic scholar; lived at Safed in the sixteenth century. 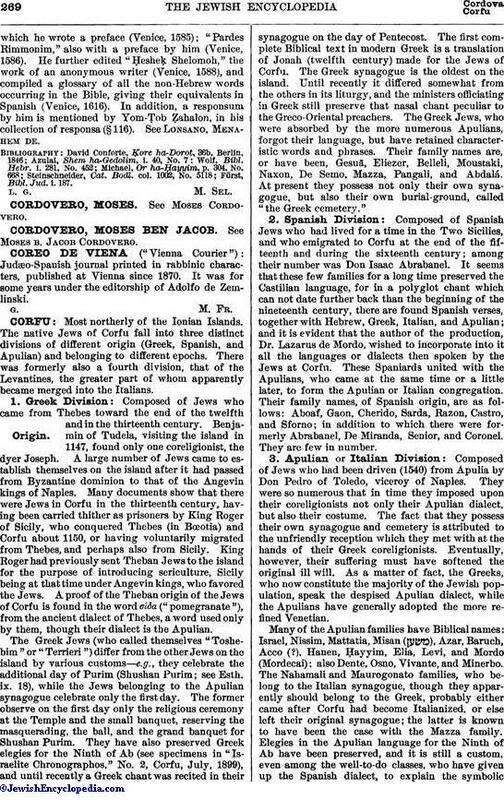 He was a son of the famous cabalist Moses Cordovero, a nephew (on his mother's side) of the cabalist Solomon Alḳabiẓ, and a pupil of Solomon Sagis. 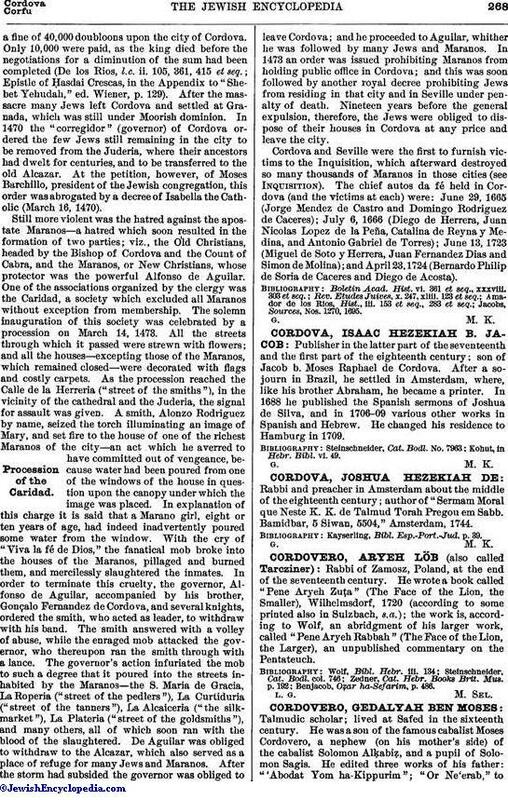 He edited three works of his father: "'Abodat Yom ha-Kippurim"; "Or Ne'erab," towhich he wrote a preface (Venice, 1585); "Pardes Rimmonim," also with a preface by him (Venice, 1586). He further edited "Ḥesheḳ Shelomoh," the work of an anonymous writer (Venice, 1588), and compiled a glossary of all the non-Hebrew words occurring in the Bible, giving their equivalents in Spanish (Venice, 1616). In addition, a responsum by him is mentioned by Yom-Ṭob Ẓahalon, in his collection of responsa (§ 116). See Lonsano, Menahem de. Fürst, Bibl. Jud. i. 187.